Clarins is a brand I have a close personal relationship with. The very first makeup products I owned, an eyeshadow duo and a lipstick given to me by my aunt as a coming-of-age present, were by Clarins. I kept the shadows way past their expiration date, and I still remember how flattering the soft grey and pink shades looked on my eyes. 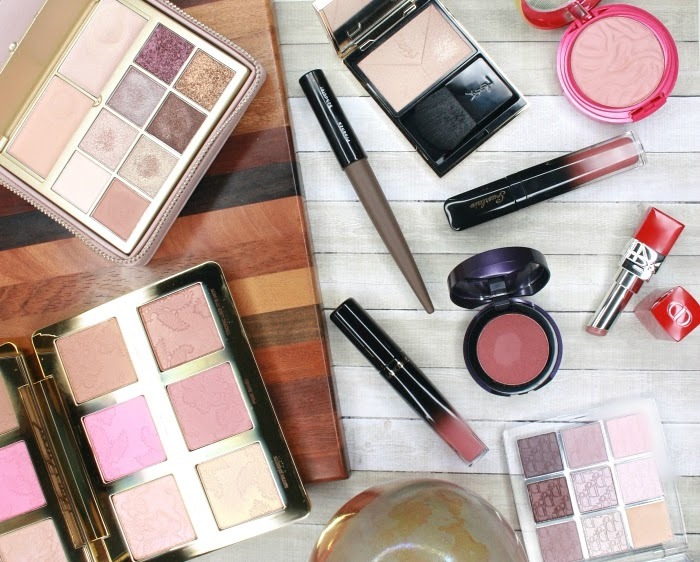 Obviously, Clarins is still close to my heart and I often purchase makeup items from their seasonal collections. 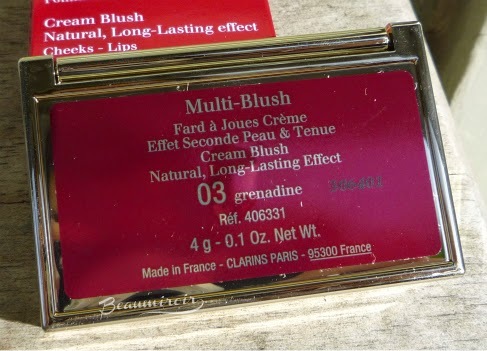 I'm a cream blush lover, and as such I was excited when Clarins came up with the Multi-Blush Cream Blush formula in the fall of 2013. 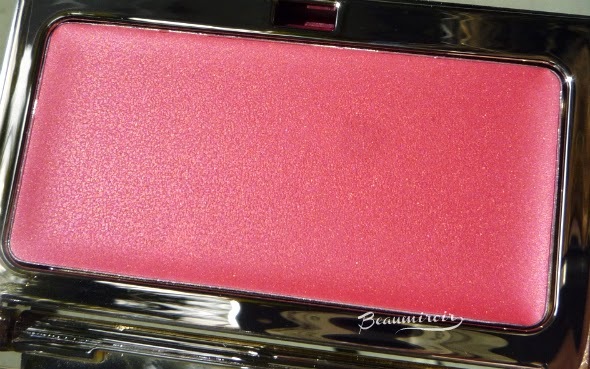 Because I think that bright and warm blush shades complement my complexion best, I chose shade 03 called Grenadine, a beautiful reddish coral with fine golden shimmer. Do you know what grenadine is? It's a red-fruit base syrup that seems to be rare in the US, and mostly used in mixed drinks, but it's a popular flavor in France, especially with kids. I absolutely loved it as a kid, with water and ice, or as a diabolo grenadine, mixed with limonade (which is a sparkly lemony soft drink, close to 7up). As a grown up I still enjoy it, particularly as part of a Monaco (a hand-mixed shandy consisting of blonde Belgian beer, grenadine syrup and limonade - to be enjoyed on a sunny day at the terrace of a café. The beer foam gets pink!). 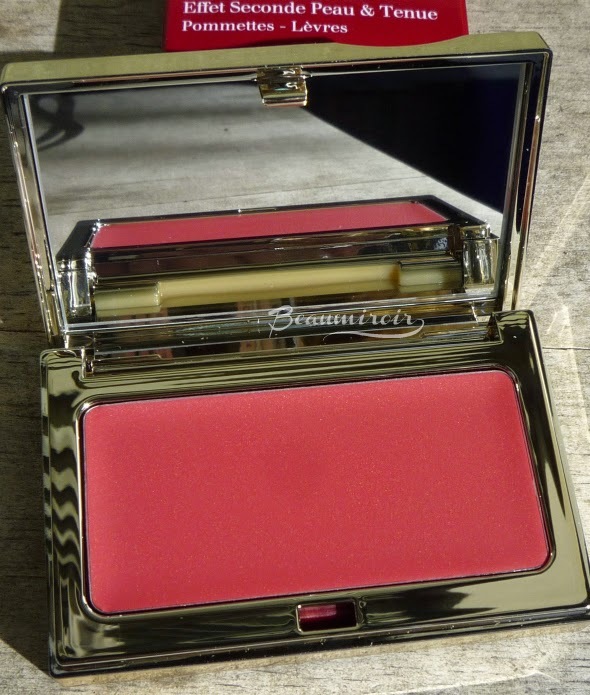 Grenadine Multi-Blush Cream Blush (in case you didn't guess from the name, it's a blush...) comes in a shiny golden plastic compact that easily shows fingerprints and scratches. 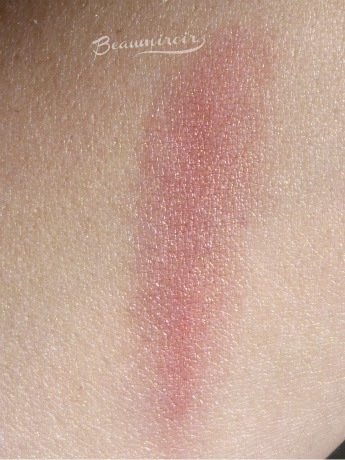 The surface of the blush is a little hard on first contact, you have to wiggle your finger a little bit to melt a layer. 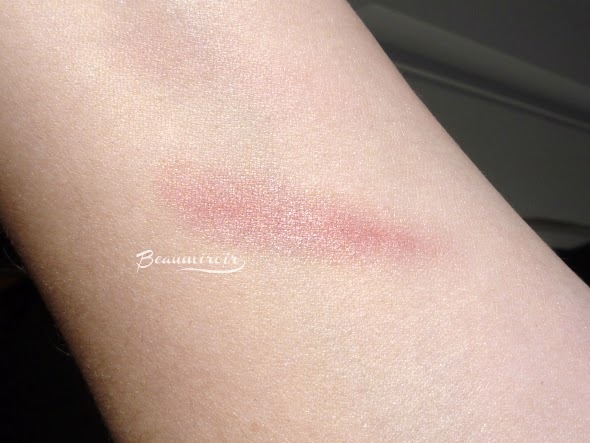 It's also a tad dry, although very velvety: it's a cream-to-powder texture that wants to be full powder as soon as it can, it doesn't feel creamy or wet at all. 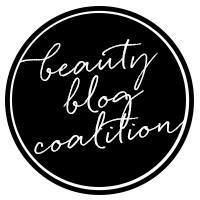 With a moderately pigmented and buildable formula, it's very easy to work with and to apply with desired intensity. It also blends like a dream, whether you use your fingers or a brush. It feels completely weightless on the skin, and it never feels greasy or sticky thanks to the powder finish. On my cheeks, it's a flattering coral, and the subtle fine shimmer creates a nice luminous effect, without any visible sparkles. The wear time is very good as a blush, the powder finish helps it stay in place for a whole work day for me. 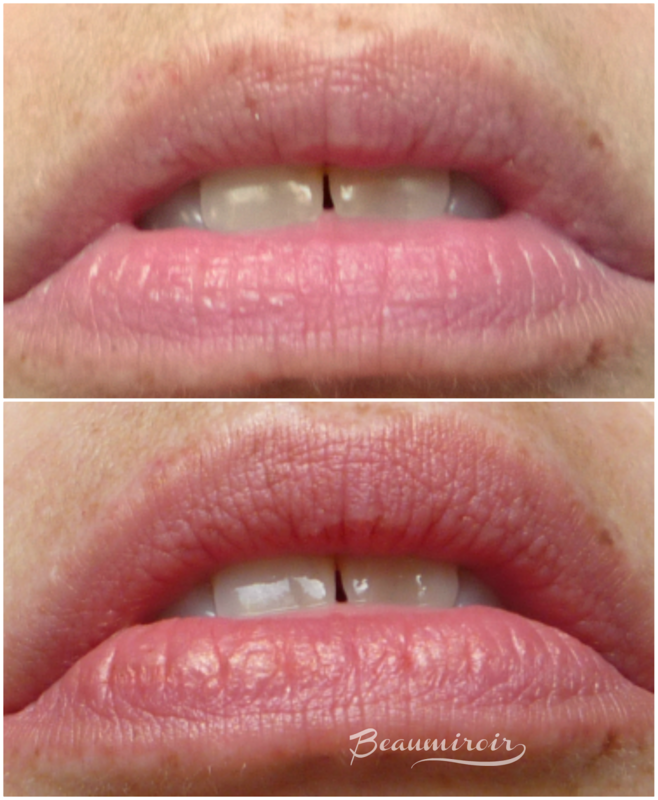 It can also be applied on lips, and it actually looks very pretty used like that, as the shimmer is more visible. 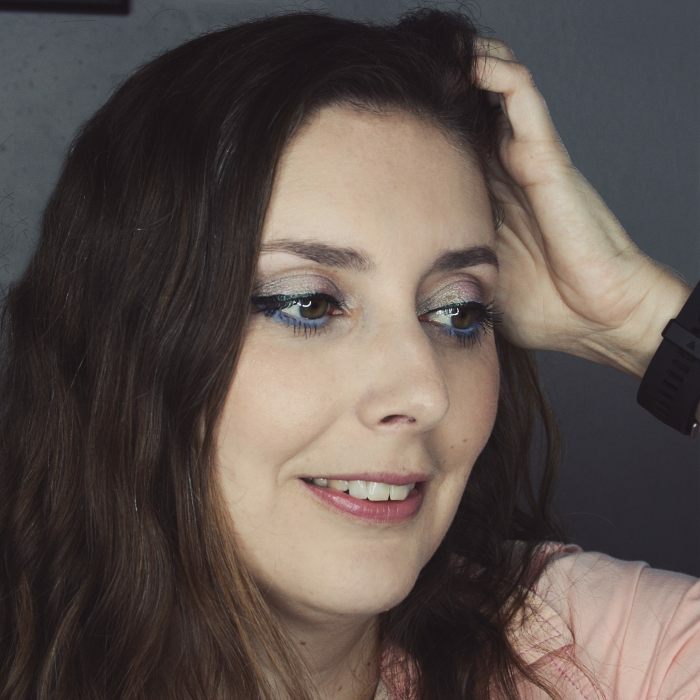 It gives my lips a warm glow, with a velvety powder finish that's quite comfortable to wear, although it tends to emphasize dry flaky areas. 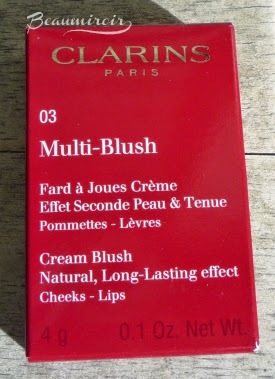 Overall: Clarins Multi-Blush Cream Blush is a good cream-to-powder, velvety and no slip cream blush formula that is easy to work with. I would recommend it to anyone who likes the ease of application of a cream blush, but prefers a light-weight powder finish. Where to buy? At your beauty counter or online on nordstrom.com (for some reason Nordstrom lists it as Blush Crème). 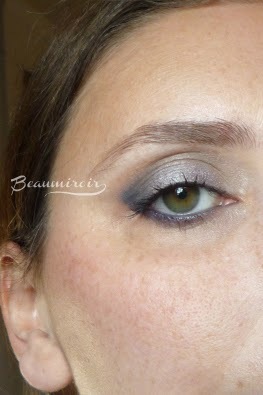 This one is pretty subtle, most of Clarins makeup is in my experience, but I'm able to build it to a nice intensity. The photo on my face doesn't do it justice, I have a VERY hard time photographing worn blush!